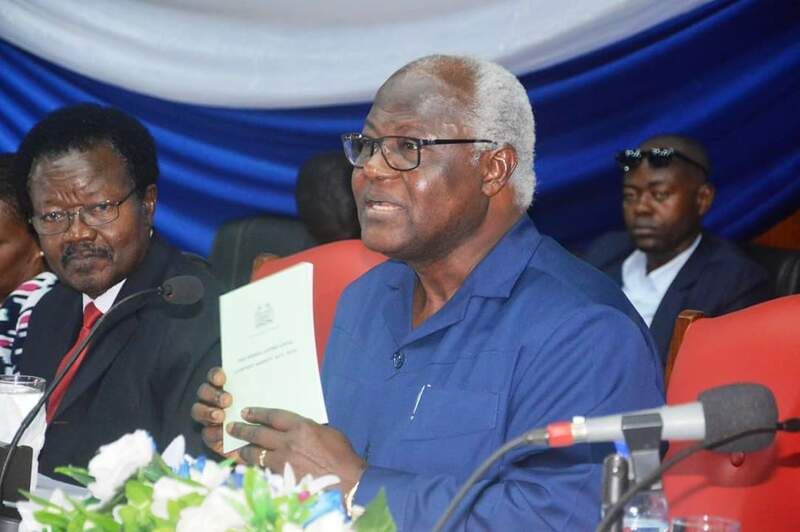 The long awaited Commission of Enquiry in Sierra Leone is due to commence this week, and this is against the backdrop of accusations and counter-accusations that have dogged the whole process since its inception. In spite of the variances in interpretations or perceptions of the commission, we can all agree on one thing: Corruption needs and must be tackled in our country. No country is immune from corruption. Sadly the level of corruption in our country had become a normalcy, rather than the exception; and there can be no better reason to tackle this canker worm. 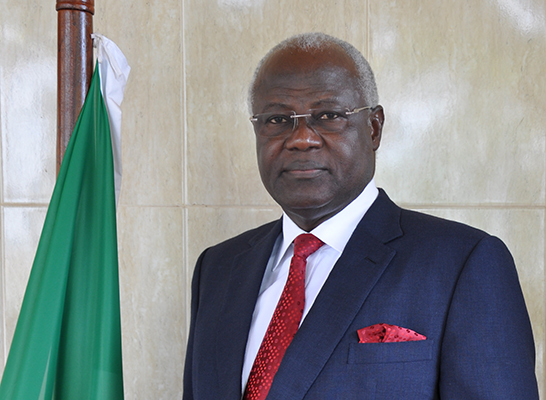 But amidst the political cacophony that is emerging, some quarters in the opposition APC party have been whispering whether the former President Dr. Ernest Bai koroma should resign from active politics now. Ernest is the current Leader and Chairman of the party, but many are now questioning the wisdom of such a decision. The former President has been included in the guest list for the Commission; thanks to allegations of financial impropriety and by virtue of his position as the former head of the past government; corporate responsibility. 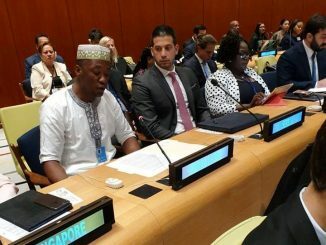 Ernest reportedly confirmed to BBC correspondent Umaru Fofana (Sierra loaded, 31 March 2018) immediately after voting then, that he will retire from politics after a “couple of months”. It is now 8 months into the new regime and he remains the Leader and Chairman of the opposition APC Party; contrary to expectation. The expectation that Ernest should have retired from active politics may have been born from the examples set by his predecessors. We know that Ernest had tried to install himself as a leader for life. Not even the late Pa Sheki, the main founder of the APC brazenly accorded himself such a title. But even Pa Sheki retired from active politics after imposing the late President Momoh on us. The same could be said of the late Tejan Kabba, Pa Berewa, and even Valentine Strasser. But why did and does Ernest continue to hang on to an increasingly diminishing power, you may ask. Does the Commission of Enquiry have anything to do with this? Ernest left the country immediately after the last election results, to enjoy “a well-earned rest”. This coincided with the inception of the Commission of Enquiry, which is largely populated by members of the erstwhile government. It is no doubt that a political vacuum had set in among the rank and file of the APC party then. That is what you get when you endow one person with all the power, and keep it propped with sycophancy. It was therefore not surprising that with his absence on the political scene, many people alluded to the APC as a rudderless ship without a captain. This was the time that many looked for leadership to counter the political juggernaut of the SLPP that had set in, apparently brushing aside what it saw as “dead wood” in its path. There were sweeping dismissals and suspensions, laced with new appointments as the change of guard took hold. Many saw these changes as alarming, and the “victims” needed little reason to conclude that it is a witch hunt and a vendetta against the APC party; thanks to its party political denominator. Others, especially APC stalwarts, understandably saw the roll call of the alleged culprits of corruption as an exercise of political cleansing, a witch hunt and an attempt to decapitate the APC. The call for Ernest to return and steady the ship had become deafening. His eventual and long awaited return was not only meant to steer the ship and give direction, but provide a fulcrum and reassurance to a party that was still licking its wounds from reality. But was Ernest in a good place to provide such a direction, when the clouds of the Commission of Enquiry were also swirling even over his own head? Many would have questioned how much clout Ernest carried or continues to carry in the APC. His attempt to rally the members was seen by many as the death throes of a party in disarray. Ernest did his best to rally the party by humbly apologising and taking the blame for the party’s failure to hold on to power. A good starting point though. But what many people saw were the embers of a once united party. 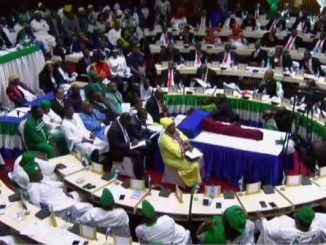 Many have since concluded the rot had set in after the convention in Makeni. It is no secret that the APC convention in Makeni left a serious amount of political blood on the APC carpet. The number of aspiring candidates for the flag bearer and running mate positions was unprecedentedly high. The fact that these candidates continued their campaigns up to the eve of the convention was suggestive that they were all confident of a chance at the opportunity. There can be no doubt that Ernest had wanted to oversee a democratic process, or a semblance of democratic process in choosing his successor. And there can be no doubt that he may have had a word or two in the ear of all the aspirants; leaving each and every one confident that they stood a chance to succeed him. It goes without saying that the outcome of that convention, which saw the little known Dr. Samura “appointed” as the flag bearer, will go down as one of the biggest political earthquakes in the history of the APC. The aspirants felt let down, and that Ernest had led them up the creek without the paddles. The rest is history. If we are going to be honest, that marked the beginning of the visible fissures that is now emerging along the echelons of the APC party. Unlike previous campaigns, people hardly saw any of the top guns campaigning independently for and on behalf of Dr. Samura. It was largely left to Pa Ernest, to chaperone Dr Samura up the length and breadth of the country; first to introduce him to the country, and to show his own supporters that he was the chosen one. This act was reminiscent of Pa Sheki’s selection of Brigadier Momoh; but unlike the latter, there was no opposition to take advantage of the political void; thanks to the one party state. The emerging cracks in the APC were evident but true to form, the APC members put the party above individual interests, grinned their teeth and soldiered on through the elections. The dismal showing of the party in the first round of ballots served as a wakeup call. There was a seeming landslide support for the SLPP in the South and East of the country, with in roads made in areas that were once regarded as the strongholds for the APC. This was glaringly so in Bombali district, the supposed homeland of the APC. This showing was enough for politicians to capitalise on tribal and regional sentiments. This was in no doubt a rude awakening for the APC, but efforts to rally the troops around tribal and regional lines by both parties proved too little too late. Sam Sumana’s C4C party had partly put paid to that. 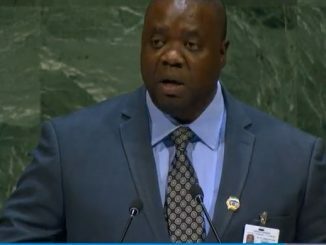 The damage had been done, and Sierra Leone had decided. This moment may have not marked the beginning of the abuse of our tribal affiliations by our politicians, but it took it to another level of unprecedented heights. Sadly, this is how we have found our collective peace and security at risk today, thanks to the unenviable penchant of our politicians to use abuse and misuse our God given rights to belong. Many people are wondering why Ernest is still hanging about. Is he sticking around to guide the party through the troubled seas that lie ahead? If that is the case, then questions may arise as to whether he is the only one capable of such a feat? Cue the re-entrance of Sam Sumana. 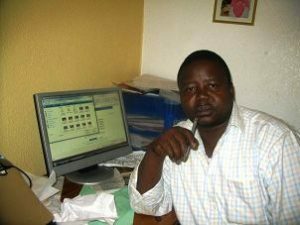 We know that Sam Sumana and Ernest are “komanehs” (In-laws), but his recent homage Ernest in Makeni has set tongues wagging. While Sam Sumana as usual, has remained tight lipped, the conspiracy merchants have gone head and anointed him as replacement to lead the APC to victory, come 2023. I can see Dr Samura popping the champagne, and members of the C4C Party building monuments in honour of Sam Sumana at opera, in Koidu Town. But that is for another day for discussion. You can vilify Ernest until the cows come home. 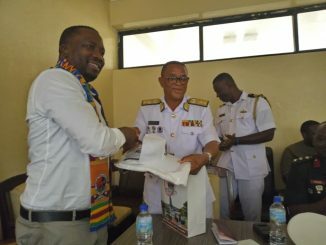 But we should also be honest enough to admit that in spite of the public scandal surrounding the Hajj gate, Ebola and Mudslide, Ernest did very well with many other projects in our country. The road infrastructure remains a testament to his legacy; although many will ask, at what price? But like his predecessors, should Ernest retire from active politics now, to protect his legacy? Does he carry the same clout to serve as the fulcrum of the party? I am sure that “World Best” will be the first person to acknowledge and recognise that it’s time to hang his boots. Politically, Ernest is one of the rare presidents in our history, and in Africa that never imprisoned or killed political opponents. I stand to be corrected. These are legacies worth preserving. But by clinging on to power, does he run the risk of losing all those accolades “World best”, “Salone Messiah”, etc.? If Ernest is not experiencing a bout of the hubris, is he sticking around to oversee the party through the Commission of Enquiry? As a former insurance man, are the titles of Chairman and Leader of APC another insurance policy against… hmmmmmmmmm? A legacy is etched into the minds of others and the stories they share about you.” “Carve your name on hearts, not tombstones. Ernest should think about his legacy, because he is writing it every day.